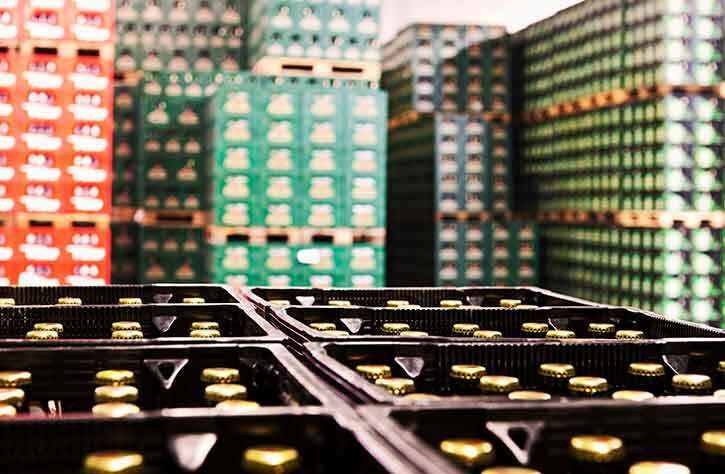 When you’re searching for an alcoholic and non-alcoholic beverage distributor, it’s important to understand the must-have qualities of a warehouse. That way, you can make the best decision when it comes to choosing a new distributor. And with customers to satisfy and a business to run, there’s just no time to deal with the consequences of making the wrong choice. Here are some warehouse fundamentals you should look for before committing to do business. In the quest to improve efficiency while staying on top of ever-changing customer expectations and market conditions, safety and cleanliness standards may start to decay. However, warehouse flooring and other surfaces must remain clean and sanitary, and products must be rotated to help ensure employee and end-user safety. Not to mention, upholding cleanliness standards bodes well for potential customers and vendors, who may visit the warehouse from time to time. An unorganized warehouse can quickly fall into disarray. On the other hand, effective warehouse organization can help improve productivity, optimize space and reduce costs. In the end, when workers can receive merchandise, prepare orders and ship out items efficiently, customers will be the ones to benefit by receiving a superior level of service. Happy employees are more productive, and more productive workers are those who contribute to the company culture by nurturing positive, team-oriented relationships with coworkers, supervisors and managers. Because teamwork is the lifeblood of any warehouse, communication is a must-have warehouse quality to look for. Warehouse workers should also have effective time-management skills, be able to multitask and have a strong work ethic. All these qualities help the warehouse run smoothly. As a potential customer, you want to make sure that your business receives high-quality products on time, and warehouse operations play a large role in fulfilling your needs. Contact us today to learn more about our warehouses in Washington and Oregon and the vision and values that guide all our business practices.